Trading Cardio for Cosmos is excited to bring you this all-new “Spring Into Summer” Challenge! We’ve got 10 weeks to the first day of summer, which means we’ve got 10 weeks to create our happiest, healthiest bodies yet! Each week for 10 weeks we’ll launch a new challenge designed to get us moving, out of our comfort zones, trying new foods, building new habits, and ultimately, to help us lose weight. We’ll track our progress and cheer each other on in a private Facebook group just for participants! A Facebook Live Date with TCFC Founder Alexis Eggleton – it’s a great time to ask questions, discuss your journey, and get inspired! You may know Alexis from Good Morning America, her feature in the NY Post, Weight Watchers magazine and on PopSugar.com, or in the Winter 2018 Weight Watchers radio ads with Ryan Seacrest! Alexis is someone who has truly lived her weight loss journey, and having lost over -100lbs and cruising towards her own personal goals. Weight loss isn’t the same for everybody or every body, so participants in this challenge embrace all kind of sustainable weight loss programs – calorie counting, Weight Watchers, Paleo, clean eating – whatever works for them! This interactive challenge is valued at $400, but we’re offering it to you for just $137 if you register by Friday, April 5, 2019! Want to give the TCFC online classes to a friend or family member as a gift? 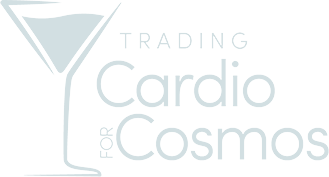 Email us at tradingcardioforcosmos@gmail.com and we’re be thrilled to help!